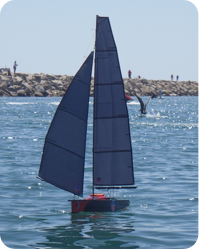 The HBRC 70 is a remote control race boat. With fleets all over the country the HBRC 70 are reaching record numbers in their regattas. Perfect for families and kids, there is a wide variety of racers in the fleet. Contact the loft about how you can get involved in this growing fleet.